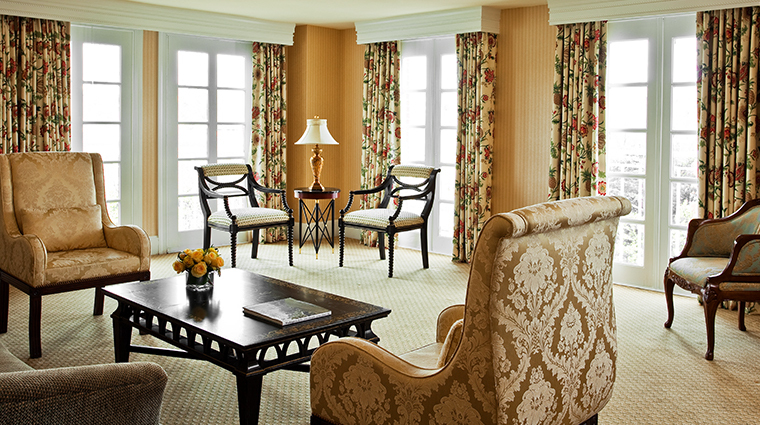 The country club set would feel at home in this 1920s-era hotel. 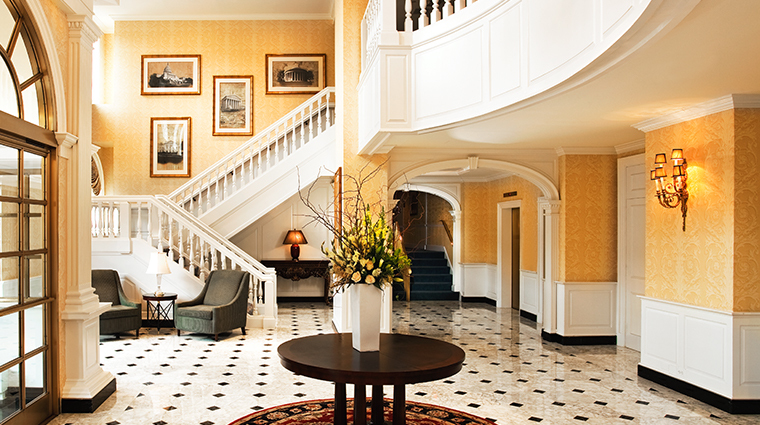 Today, the design style of the Forbes Travel Guide Recommended hotel is much like its original. The grand Fairfax at Embassay Row has an eight-story, red-brick exterior trimmed with white dentil molding and anchored by a well-manicured garden. 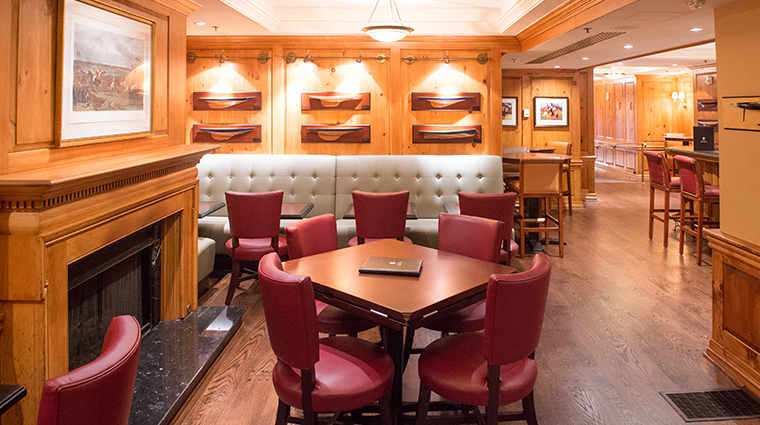 Inside, a wood-paneled lobby leads to the Fairfax Lounge and the hotel bar. Both spaces continue the country-club-chic look, with paintings of hunting and sailing scenes, vaulted tray ceilings, dark woods and touches of plaid. 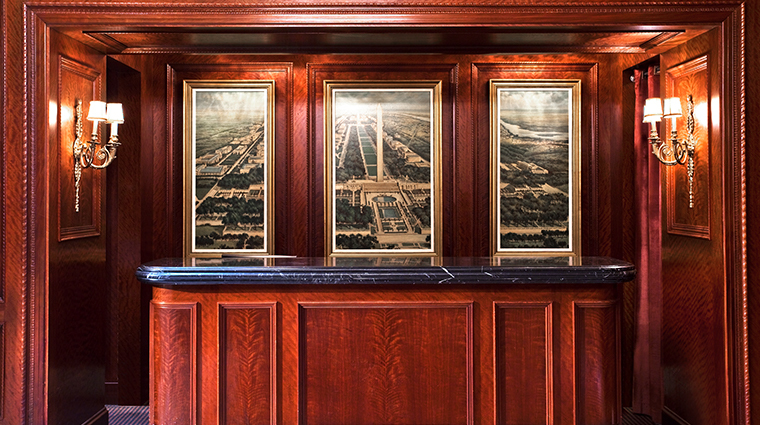 Artwork — almost all of Washington, D.C. — graces the hotel walls. 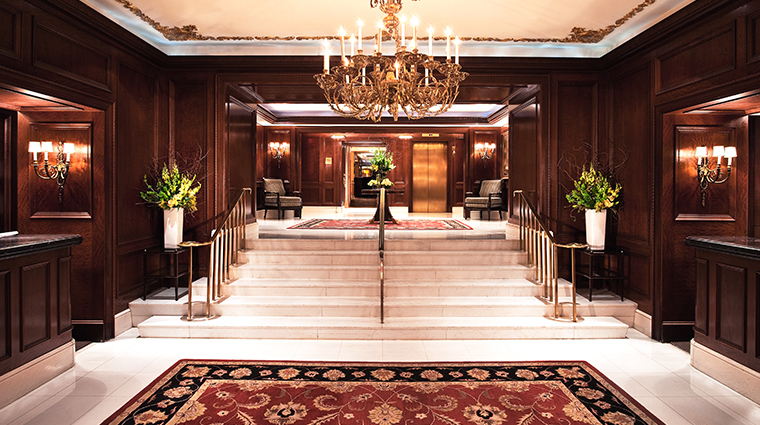 The Forbes Travel Guide Recommended hotel is perhaps most famous for its restaurant, the Jockey Club, which was a favorite of Jackie Kennedy back in the day. 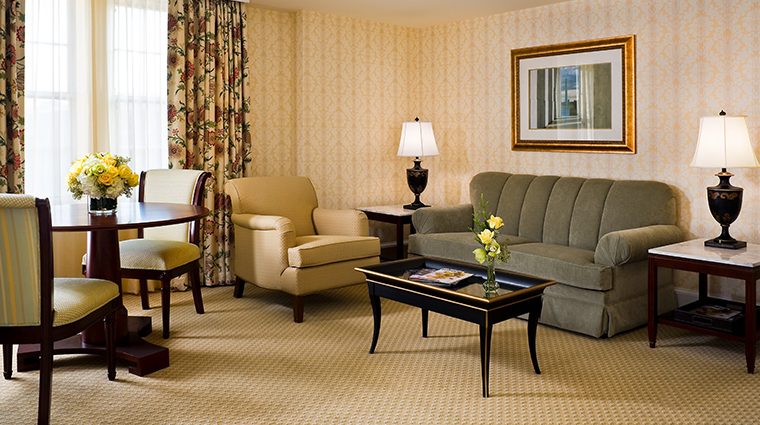 It’s 1960s throwback in the best way, classic D.C. Camelot-style like the rest of the hotel. 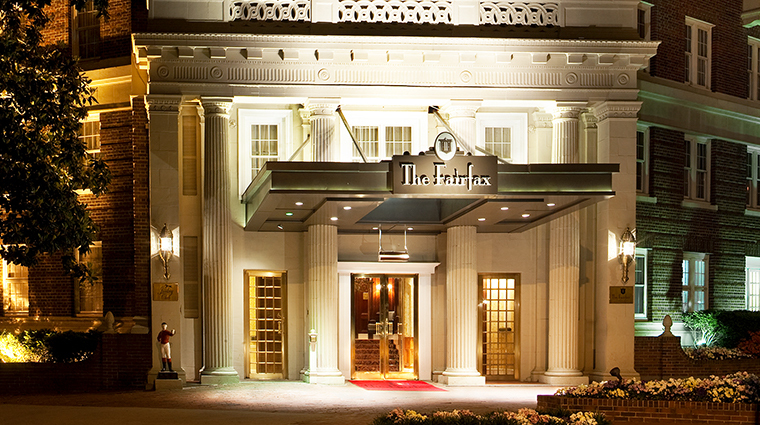 The Fairfax at Embassy Row is located in the heart of Washington, D.C.’s Dupont Circle. The residential neighborhood feel and proximity to Dupont Circle’s many restaurants and attractions, as well as its location to many area embassies, make it a favored destination whether you seek leisure or have to take care of some business. 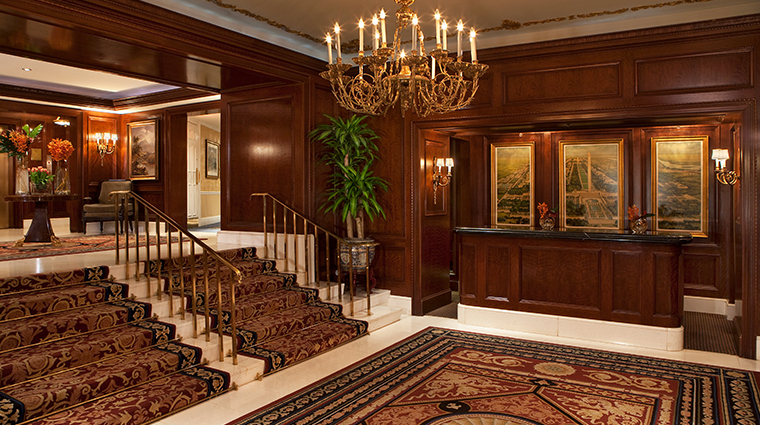 Originally opened in 1927 simply as “the Fairfax,” The Fairfax at Embassy Row’s opulent residential design was evocative of many of the leading luxury homes of its day. The concierge can arrange everything from restaurant reservations to limousine service and tourist suggestions. Families should especially take advantage of the service; the concierge particularly enjoys attending to the needs of parents traveling with kids. 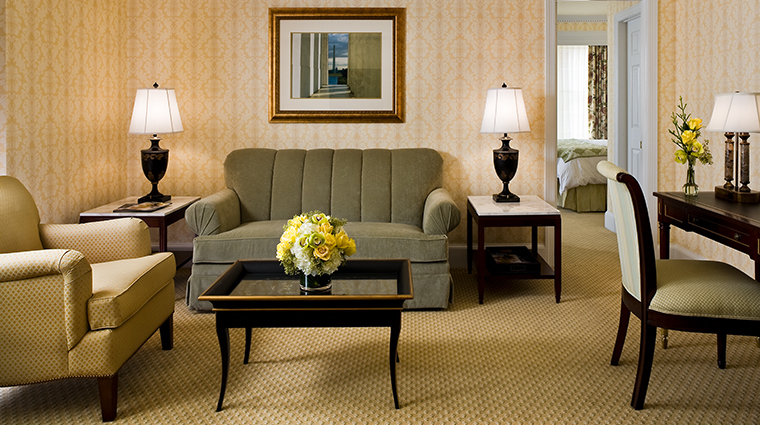 Often, he’ll take your preferences ahead of time to plan out private kid-friendly visits and museum tours, and to ensure your in-room amenities reflect your little one’s favorite pastime. 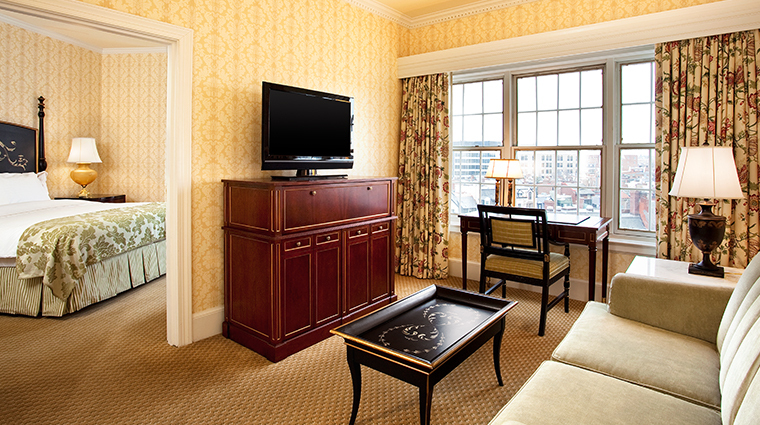 Though even if you are visiting sans kids, the concierge staff at this luxury hotel is knowledgeable about the Washington, D.C., area and can plan any itinerary or arrange any request, no matter how large or small. 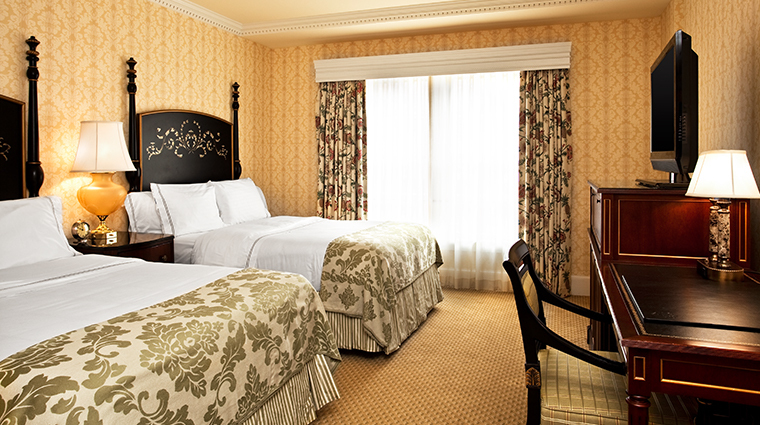 Guestrooms at the Forbes Travel Guide Recommended hotel receive a classic English-countryside treatment and feature two-poster wood headboards, floral drapes, papered walls and settees. 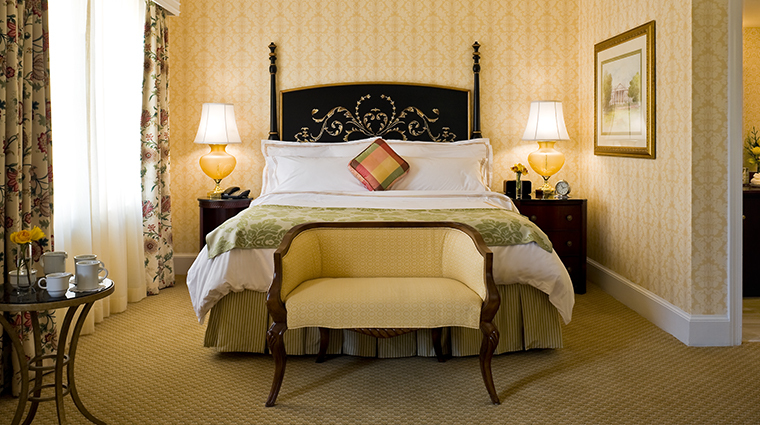 Pillow-top beds are covered in 300-thread-count Fili D’oro linens and a colorful floral throw. 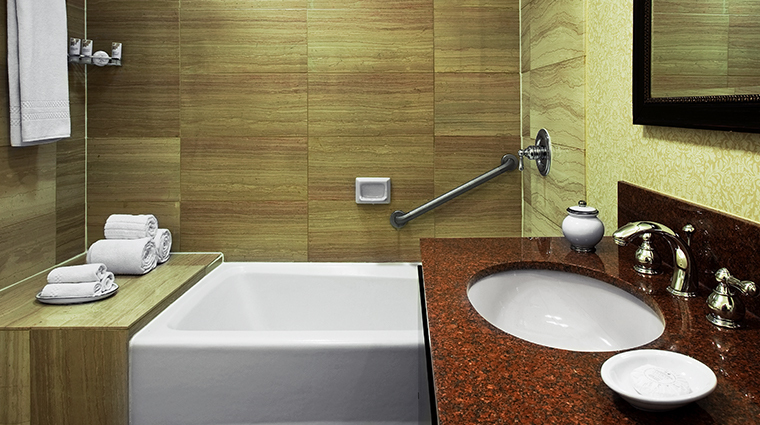 In the bathroom, you’ll find Frette robes and slippers, marble floors and countertops, and Gilchrist & Soames amenities. 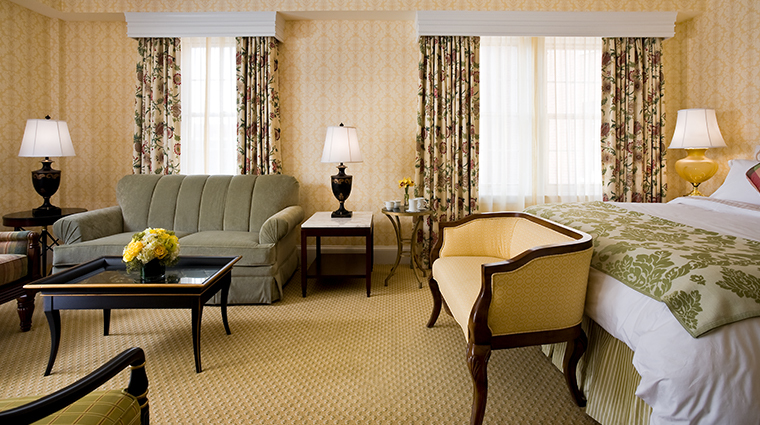 Some rooms have lovely views of the mansions along Embassy Row, but you should get out and explore the area for yourself. 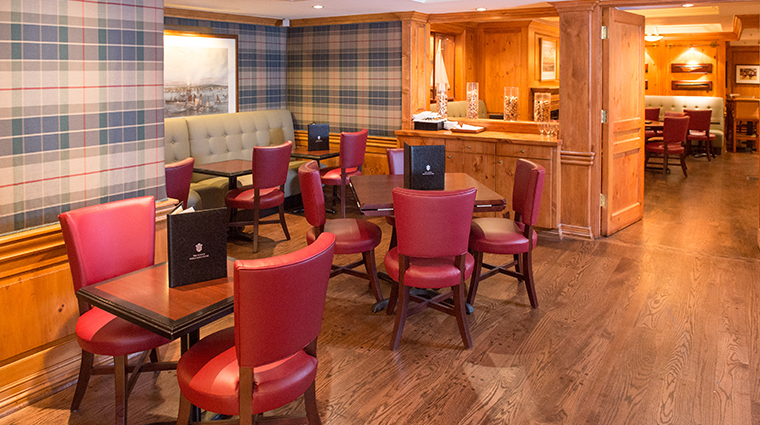 The Fairfax at Embassy Row’s famed Jockey Club restaurant lures in powerful political figures and celebrities with signature dishes like Dover sole meunière and steak au poivre. Modeled after famed restaurants such as the 21 Club in New York City, the D.C. institution has been a popular dining destination since the Kennedy administration — Nancy Reagan and Jackie Kennedy were weekly regulars during their husband’s presidencies. In fact, you could frequently find the world’s most powerful leaders there noshing on other traditional signature dishes, like the steak tartare appetizer and the pommes soufflés — crispy potatoes that resemble a cross between a fry and a chip. Just as traditional as the fare is the restaurant’s throwback décor; the Forbes Travel Guide Recommended's establishment received a makeover when it re-opened in 2008 after a nine-year closure, but still exudes a traditional D.C. vibe, with red and white tablecloths, white china with a gold rim and the Jockey Club logo, and equestrian paintings on the walls.